Peggy McColl and Greg Meyerhoff talk about creating success with intuition. Peggy McColl is a New York Times best selling author and the founder and president of Dynamic Destines, Inc. As an expert in goal achievement, she assists authors, entrepreneurs and leaders in becoming more successful. Through her books, speaking engagements and mentoring services she helps clients spread their valuable messages. Her work has been endorsed by such well known authors as Bob Proctor, Debbie Ford, Marianne Williamson, Jack Canfield, Mark Victor Hansen, Neale Donald Walsch, Gregg Braden and others. Anne and I first meet Peg in 2008 when she spoke at a book conference. 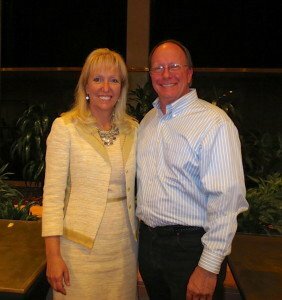 We reconnected in May of 2013 at the Author U Extravaganza in Denver where she was a featured speaker. At that time, she agreed to share with us how her work involves intuition. Peg considers her intuition to be a powerful tool, which, if practiced and trusted, changes lives. She let us know that many successful people she knows use intuition all the time but just don’t call it intuition or tell people they are using it. As a Hay House author and advisor, she knows many people in the new thought community. She helps them get their books off the ground and into their readers’ hands. In this way she brings good ideas to so many around the world. Peggy McColl walks her talk when it comes to intuition. She uses it personally when buying her homes, and she uses it professionally when designing strategies for authors. She loves the confidence she feels when she uses her intuition in making decision. She asks herself, “Does it feel right? If not, what needs to change to make it feel right? Or, should I let this idea go? Focusing on intuition is a powerful way to begin the new year. May this interview on how to create success with intuition be an inspiration for you in the year to come. May you create all that you desire with ease and joy!